Over the next little while I will share some more pictures and events about our trip. Last edited by strangeclouds on Sat Apr 20, 2013 12:03 am, edited 3 times in total. I was fortunate enough to fly in C-FJCV (by then registered Z-CAT) in East Africa in 1992 just before the French couple that owned it (the Jaunets) sold it to the group in New Zealand. Over a ten day period we flew a very large circle taking in parts of Kenya (starting and finishing at Wilson, Nairobi), Tanzania and Zaire (now DRC) and over-flying the width of Rwanda. We also visited Zanzibar. Water landings were carried out on Lake Victoria, Kake Tanganyika and Lake Kivu (Rwanda/Zaire border). It was something of an adventure and great fun. For any of you that have my 'Peacetime' Catalina book, the colour photo on the front cover was taken during that trip at Mahale on Lake Tanganyika, 120 miles from the nearest road and where we camped on the beach, not 50 yards from the Catalina moored in the shallows. DavidLegg wrote: I was fortunate enough to fly in C-FJCV (by then registered Z-CAT) in East Africa in 1992 just before the French couple that owned it (the Jaunets) sold it to the group in New Zealand. Over a ten day period we flew a very large circle taking in parts of Kenya (starting and finishing at Wilson, Nairobi), Tanzania and Zaire (now DRC) and over-flying the width of Rwanda. We also visited Zanzibar. Water landings were carried out on Lake Victoria, Kake Tanganyika and Lake Kivu (Rwanda/Zaire border). It was something of an adventure and great fun. 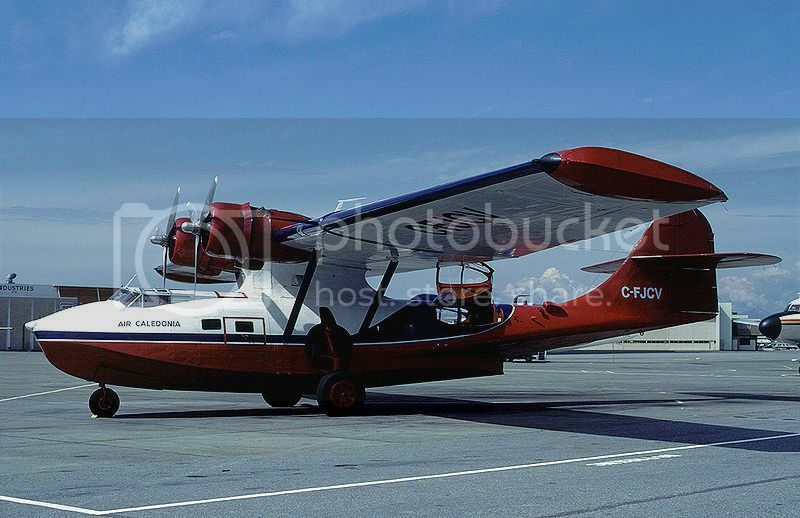 For any of you that have my 'Peacetime' Catalina book, the colour photo on the front cover was taken during that trip at Mahale on Lake Tanganyika, 120 miles from the nearest road and where we camped on the beach, not 50 yards from the Catalina moored in the shallows. Rub it in, why don't you! I said you were/are one lucky, lucky, man! The first time that I saw JCV was in the early 80’s at Vancouver Intl. At that time it was painted mostly red,usually with small white stripes (guano) from the seagulls dropping their load everywhere. It sat on the south side by the old Tradewinds Hanger, usually dripping large amounts of oil onto the tarmac .A loosely attached tarp would be flapping around barely hanging onto the cockpit roof. I was careful not to park the small floatplane I was flying too close to the oil shower. The company was called Air Caledonia. At that time it was used mainly to do runs up to Rivers Inlet, where there was/is a fishing lodge that caters mainly to rich Americans. Rivers inlet is about a 2 hour flight amidst some fairly formidable wx and terrain, it’s a small inlet locked in between mountains an in an area where the wx changes drastically and often very quickly. I ran into a friend of a friend who worked as a pilot/flight attendant on some of those trips. (he eventually became an airline pilot)At that time he recalled that frequently things weren’t pretty. The pressures of flying a questionably maintained old aircraft in bad weather were beginning to take their toll. It was evident by the appearance of the aircraft at that time. 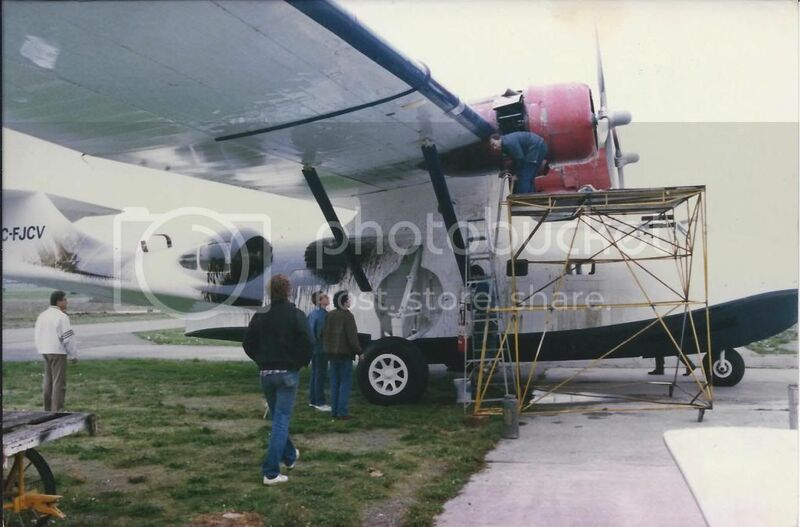 By the time we got ahold of it a few years later we were left to deal with the fact that perhaps there might have been some hours flown on it that hadn’t been logged, and also some parts that had been used to fix it were not necessarily aircraft parts, they were from Canadian Tire . Last edited by strangeclouds on Sat Nov 09, 2013 3:29 am, edited 2 times in total. By 1983 I had been continuing my pursuit of a flying career, and that meant get a job flying something bigger and faster than a Beaver or a Cessna 185 on floats. The Canadian economy at the time was in a low spot, and the best way for me to get ahead was to get away from the dreary, dark and wet winter of the west coast and go find a job elsewhere. Africa had been on my radar so I decided to give it a shot. Soon after I arrived I managed to get a job flying in Botswana for a safari company, transporting mainly rich foreign tourists in and out of the Okavango Delta. Africa became my home for the next two years, and it got into my blood, making it difficult to leave, but it was seasonal work, and due to the nature of the flying business, and the nature of being a young bush pilot,I really wanted to fly something larger, and preferably with two engines…. It was on one of those trips in Botswana I flew with someone who was a overland safari tour operator from France ,and we began to talk about airplanes. 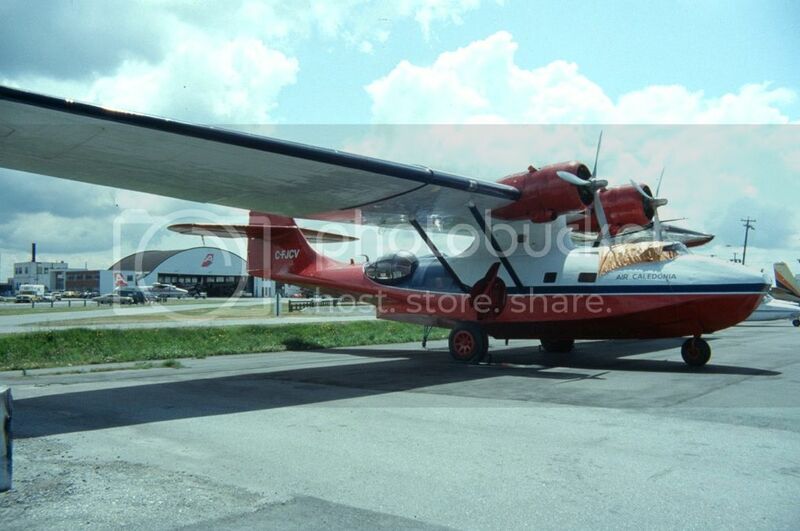 He said that he had this idea to to a trans African safari trip in a flying boat.I said great idea, and that I used to fly seaplanes and that’s a trip that I’d really like to do….if anything comes together to give me a call, as I would really love to fly it . Last edited by strangeclouds on Fri Dec 07, 2012 7:33 am, edited 1 time in total. JCV by then had been a victim of yet another bankruptcy..Air Caledonia didn’t last for very long perhaps two or three years. Eventually JCV ended up at an aircraft broker in Reno NV where is sat for a year or two till we went down to pick it up. The skipper that I had for that trip was a very good guy by the name of Bob Pearson. We flew it back to Victoria without any snags. After six months or so of being worked on JCV was barely ready to go with a deadline approaching rapidly. We had less than a month to make the trip to Africa. Meanwhile tragedy struck as Bob had a fatal heart attack which sent the boss scrambling for a new skipper. He was growing impatient. The next in line was a water bombing pilot from Alaska. He knew nothing about Africa but he was also a licensed engineer on the Catalina, and since I was familiar with Africa, and I was comfortable with flying off the water, it seemed like we would make a good team. So I really had two bosses, one skipper and one boss, and also a little later on, the one boss kind of had another boss…..…his wife. So we launched off ..that grey morning on Oct 22,and despite having to turn back once after the oil leak we were trouble free for the start. The Boss was busy in the back, still working on the unfinished trim in the cabin. His Makita drill needed charging frequently from too many screws. Time was running out as well as his batteries. The new skipper was explaining how to lean out the mixture by looking at the exhaust pipe. It was night. That helps. As the flame must not look too yellow, but mainly little blue except just at the tip of the flame. We headed east, and a little south, avoiding the typically bad weather in the higher mountains. That night we managed to make Regina, and we stayed at an airport hotel, one of those with seemingly plastic sheets. The next day we zig zaged across the continent to stay away from the bad wx. By the time we had to make a fuel stop in at Fargo N.Dakota we also had radio problems. The VHF was on the fritz..also there was an issue with one of the bubble canopy’s not working properly, one of the window panes fell out. That held us up for a day or so. Then continuing eastbound to Thunder Bay, and we stayed at the ubiquitous Valhalla Inn. ..with a great breakfast I might add. Then on to Gaspe, carefully attempting to avoid any active military areas at Petawawa Ont. then on towards Ottawa and we made it as far as Gaspe. By that time it was late. The next day we were off to Gander. But the wx was down as usual so we went to Stephenville. It was Oct 27th. Stephenville is built on what is in fact a large fuel tank. An old jumping off point for WW2 bombers, its had its fair share of PBY’s over the years. The WX caved in. We spent two days stuck in the fog. 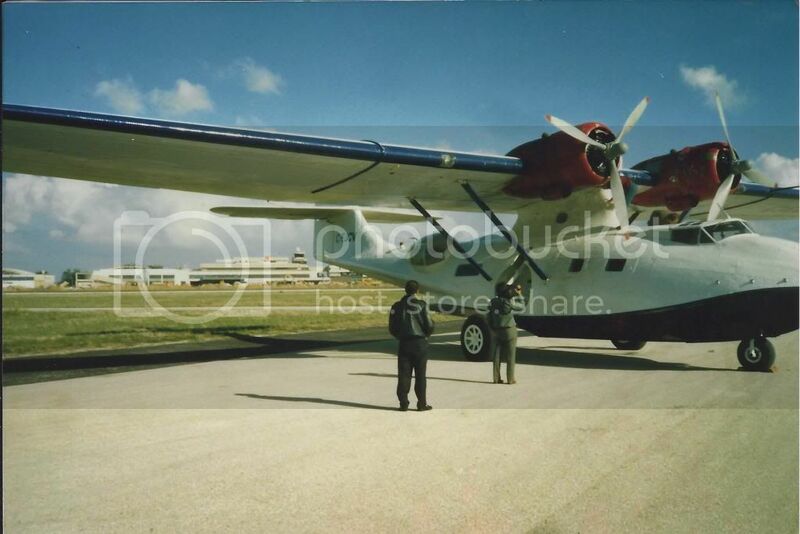 We wanted to get across the pond from Gander..it had a better wx office and also we needed to pick up our loaner loran C there to help with the nav across…as at the time we only had an ADF and a weak VOR. Something told me it was about time I had better get more proficient with a compass and a watch. We also had an HF Radio, which turned out to be useless. 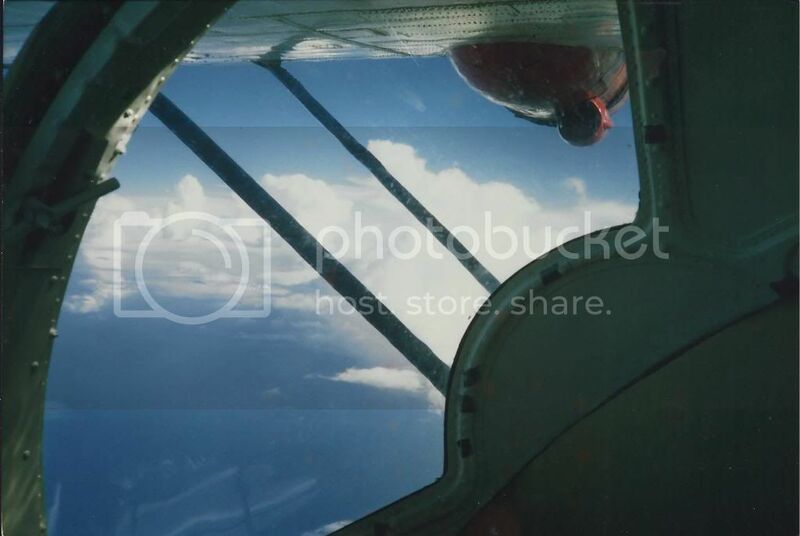 Furthermore it was located in the back of the aircraft, behind the rear bulkhead. (for reasons Im not really certain)The WX was still down in Stephenville, and the boss was getting impatient, so we rented a car to drive to Gander thinking that we could pick up the loran an get a wx briefing there before heading off from Stephenville. The boss was still in a rush, so we left in a in the middle of the night, almost hitting a moose on the way. It was almost like Paris to Dakar. to finish up flight planning and also completing the loran installation. Once we finished the paperwork we were ready to go. It was the only time that I ever filled the fuel tanks full, at 1750 us gallons. We were up the next morning early, and after another extensive wx briefing we filed VFR and left Gander for Santa Maria in the Azores, over 1300 NM away. Fishing around between 1500 feet and 15,000 feet we were steering around the weather .We mostly stayed out of and below the clouds. The wx was generally pretty good, and I was glad we also had a couple of oxygen bottles just in case we were caught high for any length of time. The HF radio was still unserviceable. It was freezing cold as we had no heater. It took forever to use the loo cause I had to peel off so many layers of clothes. By the time we got 1/3 of the way across the Loran quit and I was on a compass and a watch until about a hundred miles or so from the first island called Flores.The boss was still working in the back on the interior trim. I was relieved to pick up the first radio beacon to navigate with, but that peaceful feeling was suddenly interrupted by a mighty crack from the number two engine. Suddenly we realized that we had a problem. Last edited by strangeclouds on Fri Dec 07, 2012 7:34 am, edited 2 times in total. Do'nt stop there, we're hanging on your every word....! Nope... never rush a good thing... "Same time, same channel..."
By that time the wx was closing in. Thunderstorms were brewing in the vicinity, and it was beginning to get dark. We still had half an hour to go to the first airport, and the oil was beginning to leak a lot more than usual. Lajes was less than an hour away, and we were lucky they had us on radar by then. We didn’t want to get vectored into a cell. Of course we had no weather radar either. Even though they were giving us vectors for the airport we had to tell them that we weren’t happy with some of their headings that they gave us ,as it would have sent us right into a thunderstorm. They only had primary radar, not the kind of radar that can see weather, which would have helped. The boss was keeping an eye on the leak. The skipper an I were looking forward to getting down. I briefly thought about what to jettison first for some weird reason. (we could easily fly on one) . Lajes is a military airport, and in some cases that means PPR (prior permission required). They were wondering who we were. Due our emergency status they were obliged to let us land. Even though we could still maintain altitude,we weren’t too sure how long number 2 would run for. We were still getting good power out of it, so we didn’t want to feather the prop. They gave us a PAR (precision approach radar) into the airport .By the time we landed it was dark. After we touched down we were instructed to hold position on the runway after landing. Vehicles from various different positions surrounded the aircraft with spotlights to check us out. Guys wearing army greens stood by on the perimeter of the runway. They were all packing heat. They knew by the new oil stripe down the side of the aircraft that we were legit. We were instructed to park in quarantine…. and by that time they were friendly, and then they became even more friendly also, and very happy to help us out. The CO was especially accommodating, even letting use the hanger the next day to help us work out our engine problem. Exhausted, we spent the night at a hotel nearby, and woke up before dawn to get going back to the airport. What turned out to be a blown oil seal and a spark plug coming unplugged it didn’t set us back for too long. We did a short test flight before heading east for Lisbon. After six hours finally we reached the other side, with barely enough time for a sandwich and an espresso before we took off again at nightfall, bound for Montpelier France. The wx was cooperating that night, and we were also lucky that so was the aircraft. We all had enough excitement for the day. I swore to myself that I wouldn’t do anymore trans Atlantic crossings after that. Even if the aircraft could float. Last edited by strangeclouds on Fri Dec 07, 2012 7:35 am, edited 1 time in total.